Each week, PokerNews Canada brings you insight into the happenings at some of the major poker sites. Featuring the most popular blog posts, BlogNews Weekly is your one-stop shop for all your poker blog highlights. This week, we bring you highlights from PokerStars, Full Tilt, and partypoker blogs from last week. Players from 73 different countries flocked to Malta to participate in the first European poker Tour (EPT) festival ever held in the Mediterranean island. The PokerStars blog titled EPT11 Malta: So, Which Country Has the Best Players? broke down, by the numbers, the country that was best represented. 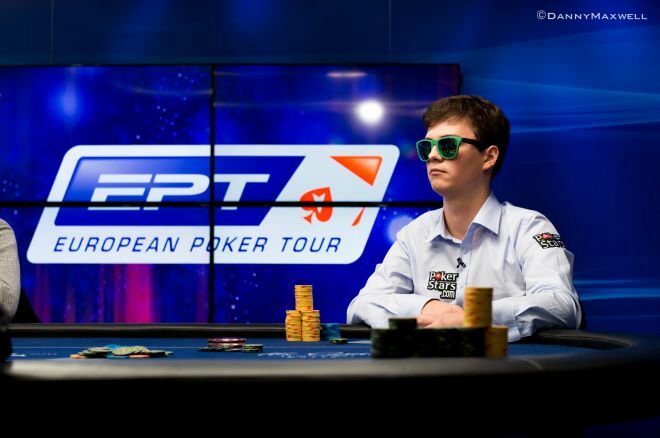 Heading into the EPT Malta Main Event, Italy was best represented, with 551 players participating in the poker festival, while Germany represented the country with the most cashes and winnings of €1,502,007. Once the Main Event ended on March 28, it was Poland that eventually overtook Germany. Heading into the Main Event, the 55 Polish players that participated in the latest EPT won €1,400,527 for an average of €25,464 per player, the highest among any country. Thanks to Poland's Dominik Panka finishing in third place in the Main Event for €347,300, Poland also overtook Germany for the most cashes. Head to the PokerStars Blog to read more about how the top countries performed during the EPT Malta festival. The Game of the Week this week on Full Tilt is six-card Omaha. The rules of the game are similar to regular Omaha, except, as you may have guessed, you start with six cards in the hole instead of the normal four. Full Tilt's Gareth Chantler breaks things down for you even further, even explaining how even if you don't have a made hand, you can still represent you do in certain situations. For example, if a potential flush hits the board with three cards of the same suit, you can potentially represent the nut flush to thinking players if you have the ace of that suit, even if you don't have another card of that suit in your hand. Go to the Full Tilt Blog to learn more about how to approach six-card Omaha. Partypoker's Tony Dunst discusses on the partypoker blog titled Can Playing Daily Fantasy Sports Be Almost as Fun as Playing Poker? whether daily fantasy sports can be as fun to play as poker. In the blog, Dunst also discusses the many similarities between the two games, including how the prize pools in tournaments on daily fantasy sports sites such as FanDuel and DraftKings are top heavy. As you already know, top-heavy prize pools are also the norm in most poker tournaments. While poker requires constant studying to remain on the top of the game, Dunst points out this may be even more true in daily fantasy sports, where you must stay on top of the news and look for bargain players for your team that others are not so likely to select. Read more on the partypoker Blog about parallels between poker and daily fantasy sports.